Become skilled in the world's second-most-spoken native language and learn about the richness of Spanish cultures around the world. 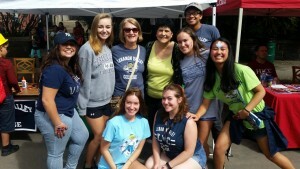 As an LVC Spanish major, you'll be prepared to engage the diverse, multicultural, and multilingual world in your places of employment, graduate school, and communities. Complete some of your coursework in a Spanish-speaking country if desired—we offer a variety of countries to visit and topics to study. The skills you'll develop will open doors in any profession. We offer numerous opportunities locally and abroad to engage the language and culture. 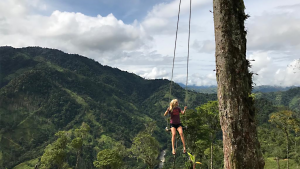 These activities include short-term summer study abroad, international service trips to Spanish-speaking countries, and volunteer work with the local Hispanic community with Compeer of Lebanon, Lebanon Valley Volunteers in Medicine, Sexual Assault & Resource Counseling Center (SARCC), Lebanon School District, and Lebanon YMCA, among others. 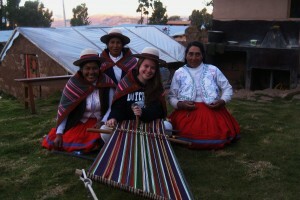 Want to earn an LVC scholarship to study abroad? In addition to our short-term summer program in Costa Rica, we offer a full-semester program in Valladolid, Spain. 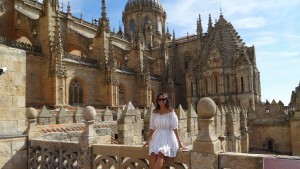 Better yet, our generous language alumni and emeriti have created two scholarships for LVC students to help defray the cost of studying abroad: The Zerbe Summer Study Abroad Scholarship and The Captain Charles Thomas Cooper III-Don Quixote Scholarship. The number of Spanish-speaking patients entering the healthcare systems grows each year, so being a bilingual speech-language therapist will prepare you to become a valuable professional. Combine a Spanish minor with our five-year, master’s in Speech-Language Pathology or Athletic Training programs, our six-year Doctor of Physical Therapy program, or with an undergraduate major in Biology, Biochemistry & Molecular Biology, Chemistry, Exercise Science, Medical Technology, or Neuroscience. 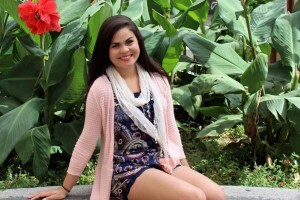 Combining a speech-language pathology major with a Spanish minor, for example, will help you gain competence in Spanish to communicate with Spanish-speaking patients and their families, build trust and create empathy with your patients, develop awareness of Hispanic cultures, and expand your employment opportunities globally. 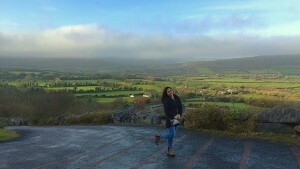 The minor requires five courses at LVC, including oral and writing communication and Spanish for Health Care Professionals, as well as an opportunity to study abroad. 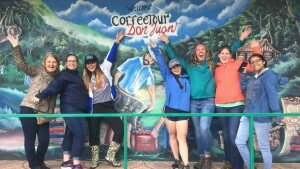 Recent Spanish majors have had extensive opportunities to conduct research and international community service with their faculty in Mexico, Peru, and Puerto Rico, as well as in the local community through innovative academic programs created by department professors. Speaking Spanish gives you an advantage in the national and international job markets. It will open doors to many of the world’s largest international companies. 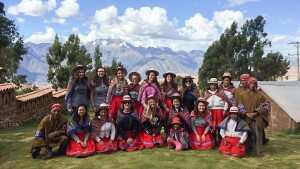 Spanish majors will receive close, personal attention from LVC faculty, and opportunities to study abroad and practice the language at the College’s semester-long programs in Buenos Aires, Argentina; Santo Domingo or Santiago, Chile; or Valladolid, Spain, among others. Majoring or minoring in Spanish, combined with any of LVC’s several health professions majors, will help graduates who go on to medical school become better physicians. Many LVC doctor of physical therapy, biochemistry & molecular biology, and pre-med majors double major or minor in Spanish. Furthermore, if you are interested in elementary or secondary education, you will find that additional certification in a language significantly enhances employment opportunities. 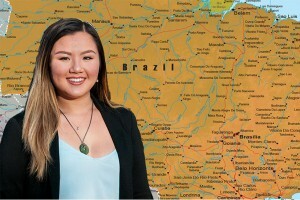 LVC’s Languages Department endeavors to produce graduates who are prepared to engage the diverse, multicultural, and multilingual world in their places of employment, graduate school, and their communities. A number cannot be placed on the value of the lessons that I learned not only of another culture, but also of my own culture, and of myself.